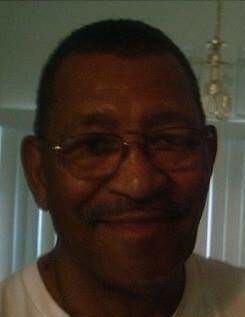 Mr. Wesley Thomas Neal, 79, of Fairmont transitioned to rest eternally on Tuesday, March 26, 2019 in Florence, South Carolina. Wesley was born on November 24, 1939 in Baltimore, Maryland. Wesley attended school in Virginia, served in the United States Army and obtained a 30 year Truck Driver Career. He leaves to cherish his fond memories four daughters: Cynthia Bellamy of Wilmington, NC, Bridgett Bethea of Raleigh, NC, Yvette McCoy of Smithfield, NC and Lollie McCoy of Butner, NC; four sons: Michael Brunson of Henderson, NC, Morris McCoy of Brooklyn, NY, Thomas McCoy of Durham, NC and Lamar (Rusti) McCoy of Oxford, NC; a host of grand children, great-grand children, nieces, nephews; a special friend, Chriscille Grissett; extended family, great nieces, great nephews, other relatives and friends.